The following press release is from Major League Baseball. Get out your SPF 15, everyone, it’s going to be a long season. 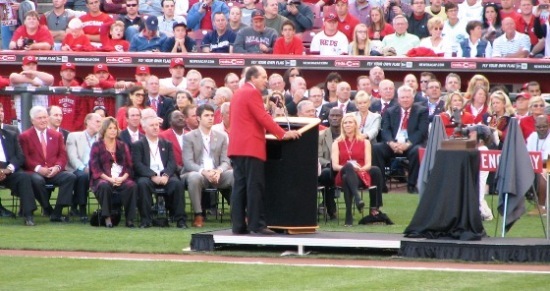 Baseball Hall of Famer and Cincinnati Reds legend Johnny Bench has been named the official spokesperson for the 2012 Play Sun Smart program, a joint effort by Major League Baseball (MLB), the Major League Baseball Players Association (MLBPA) and the American Academy of Dermatology (Academy). The goal of the Play Sun Smart program is to raise awareness of skin cancer and offer prevention and detection tips to the baseball community. As part of his duties, Bench will make an appearance at the MLB Fan Cave in New York on Saturday, June 2nd with kids from Harlem RBI, a program of Major League Baseball’s Reviving Baseball in Inner Cities (RBI) initiative. 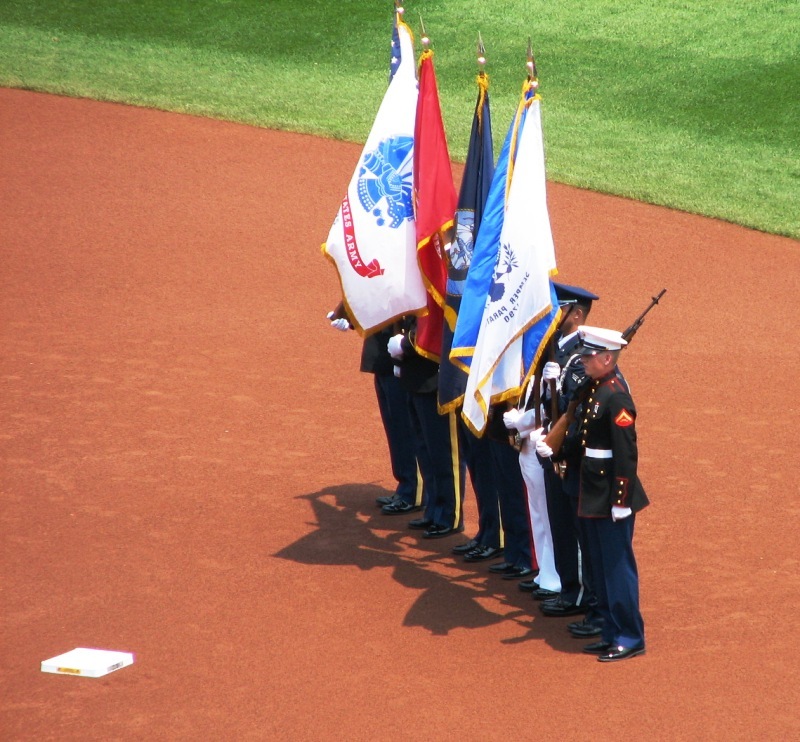 He will also participate in a pre-game ceremony on Sunday, June 3rd at AT&T Park, the home of the San Francisco Giants. Bench was recently diagnosed with and treated for basal cell carcinoma, the most common form of skin cancer, on both of his lower eyelids. With a unique skin cancer surgery called Mohs surgery, he has had a full recovery and is now committed to raising skin cancer awareness. While basal cell carcinoma is not considered life-threatening, it can be significantly disfiguring if left untreated. Other types of skin cancer can be life-threatening. This year, MLB players, coaches and staff from all 30 Clubs will serve as role models for their fans by participating in skin cancer screenings through the Play Sun Smart program and practicing sun-safe behaviors throughout the season. Since 1999, Academy dermatologists have conducted more than 29,000 skin cancer screenings through this program. Just like players and Club employees, fans are asked to practice safe sun behaviors and to find a free skin cancer screening in their area by visiting the Academy’s website at www.SpotSkinCancer.org. As in Bench’s case, early detection of skin cancer is essential. Fans can spot skin cancer early by regularly looking over their entire bodies, including the back, scalp, soles, between the toes and on the palms. If there are any changes in the size, color, shape or texture of a mole, if a new mole develops or any other unusual changes in the skin occur, fans are encouraged to make an appointment to see their dermatologist immediately. 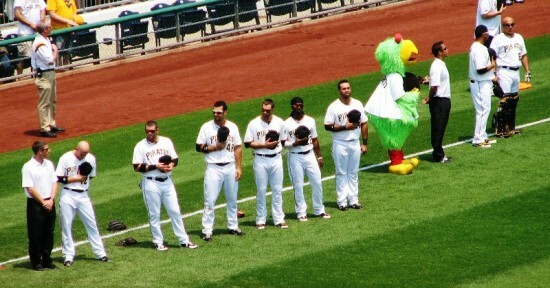 For more information about sun safety and the Play Sun Smart program, please visit MLBCommunity.org. The Play Sun Smart awareness program is one of several cancer-related initiatives supported by Major League Baseball. Other initiatives include Stand Up To Cancer (SU2C), whose mission is to support groundbreaking scientific research aimed at getting new cancer treatments to patients quickly; the Mother’s Day Going to Bat Against Breast Cancer initiative, which is a joint partnership with Susan G. Komen for the Cure, the world’s largest breast cancer organization, to help increase awareness of breast cancer and raise money towards the search for a cure; and the Prostate Cancer Foundation Home Run Challenge which helps increase awareness of prostate cancer and raise money for the search for a cure as part of the Major League Baseball Father’s Day celebration. To learn more about Major League Baseball’s charitable initiatives please visit MLBCommunity.org or follow on twitter @MLBCommunity. The American Academy of Dermatology (Academy), founded in 1938, is the largest, most influential, and most representative of all dermatologic associations. With a membership of more than 17,000 physicians worldwide, the Academy is committed to: advancing the diagnosis and medical, surgical, and cosmetic treatment of the skin, hair and nails; advocating high standards in clinical practice, education, and research in dermatology; and supporting and enhancing patient care for a lifetime of healthier skin. For more information, contact the Academy at (888) 462-DERM (3376) or www.SpotSkinCancer.org. Follow the Academy on Facebook (American Academy of Dermatology) or Twitter (@AADskin). Posted in Cincinnati Reds, Press Releases. 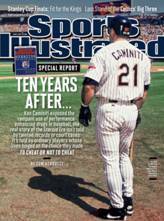 This issue of Sports Illustrated has a story titled “Ten Years Later: A Look into the Lives of Players Affected by Baseball’s Steroid Era.” I found the preview quite compelling, so I thought I’d post it here for your reading enjoyment. 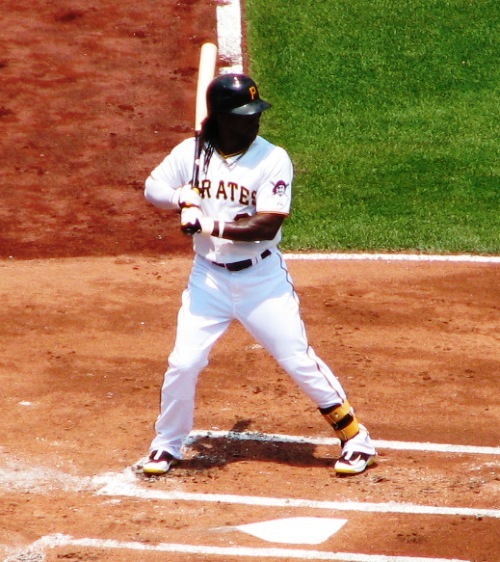 As MLB continues to expand its drug testing since the hearing, the focus has been on the tainted records and court cases that resulted from the Steroid Era. But the cover story for the June 4, 2012, issue of Sports Illustrated looks inside the lives of ordinary players whose careers were defined by the choice they made, to cheat or not to cheat. Senior writer Tom Verducci, who wrote the cover story in 2002, examines the playing careers of four right handed pitchers who were members of the Minnesota Twins organization in mid-to-late 1990s. They had similar skills and backgrounds. None were drafted by the Twins higher than the fourth round of the MLB amateur draft. 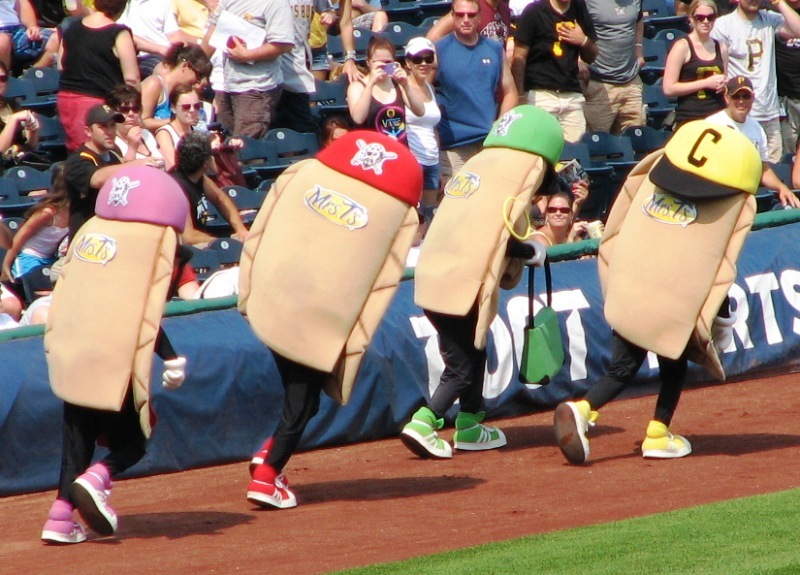 One of the four, however, took steroids, and he was the only one who ever reached the major leagues. His name was Dan Naulty and his decision to cheat the game, his teammates and himself affected all their lives (page 38). Naulty was 6’6’’ and 180 pounds as a senior at Cal State Fullerton, had a fastball that sat around 85mph and was drafted in the 14th round. 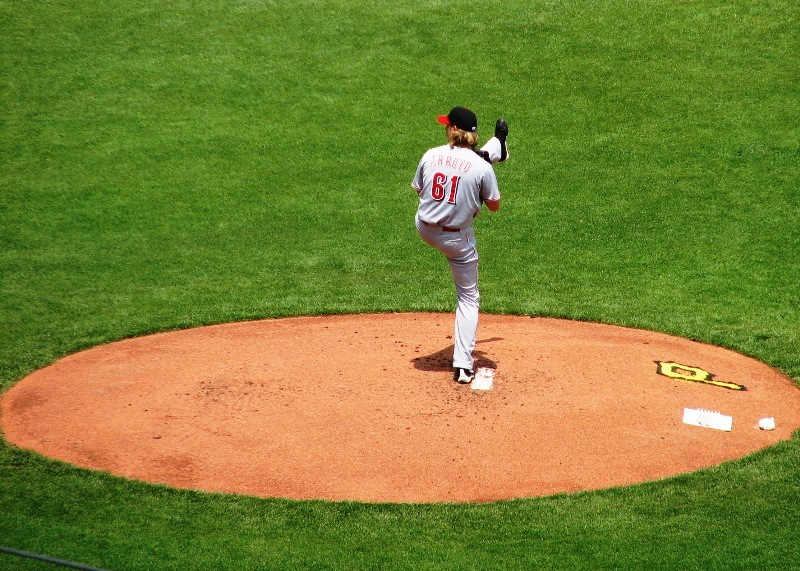 After using steroids and other performance-enhancement drugs, he began throwing his fastball at up to 95mph and at one point weighed 248 pounds. He spent three seasons with the Twins, pitching in 97 games before being traded to the New York Yankees in 1999, where he won a World Series. Available on newstands now, or check out the electronic version. There’s apparently a podcast with Tom Verducci and Richard Deitsch if you get the version on your tablet computer. 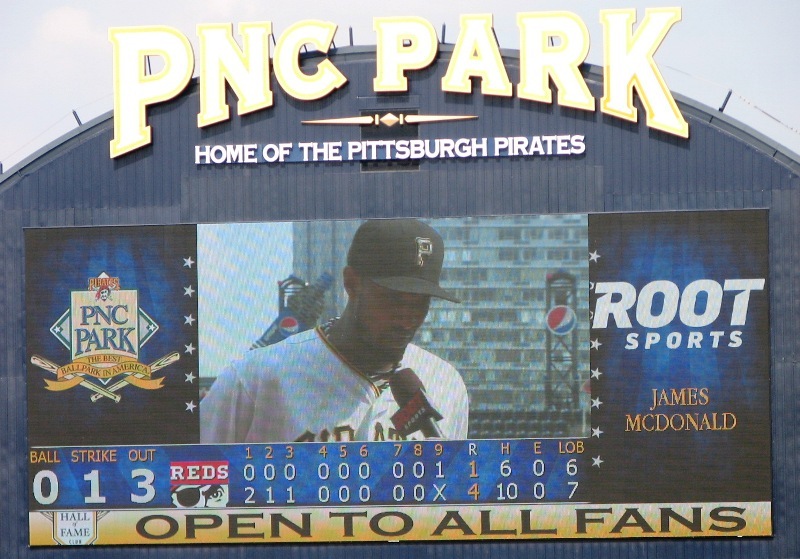 The game was looking really good until it suddenly wasn’t yesterday, when the Reds lost 1-2 to the Pirates. Johnny Cueto started for the Reds. In 7 innings of work he allowed 2 run (earned) on 5 hits and 4 walks. Not the best he’s ever been, but hardly a losing effort. Sean Marshall got the first out in the eighth and Logan Ondursek got the other two. Pitching the ninth wasn’t necessary. 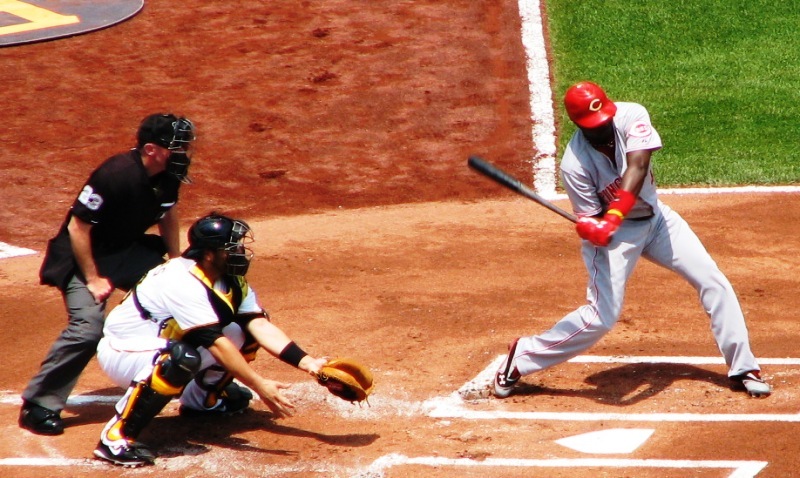 The Reds scored their run early, which is why the game felt pretty good for a while there. 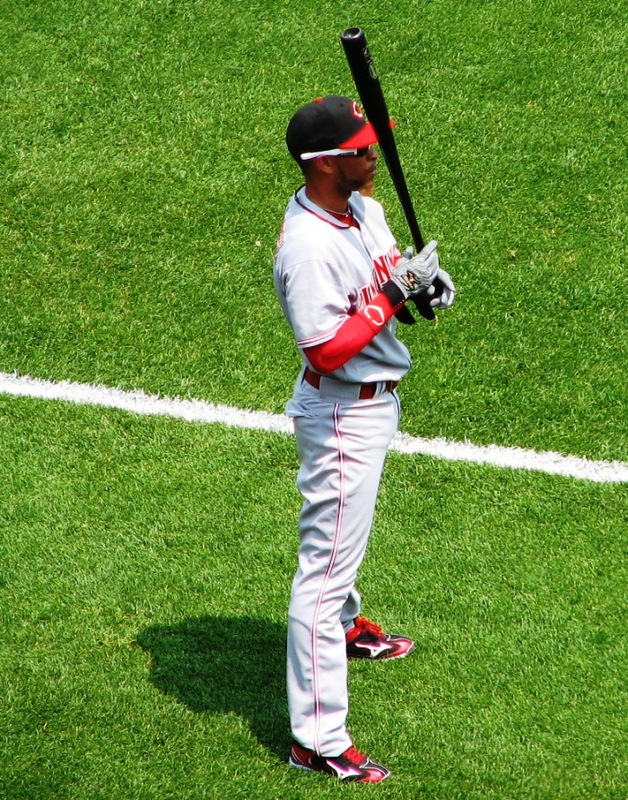 Zack Cozart started off the game with a hit and was eventually knocked in by Brandon Phillips. But once A.J. Burnett got going, there was no getting to him. 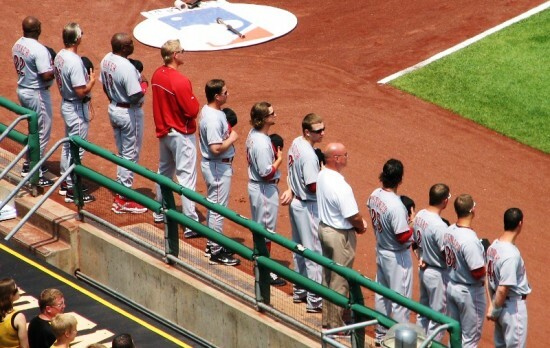 Only Chris Heisey and Joey Votto added hits to Cozart’s first one. 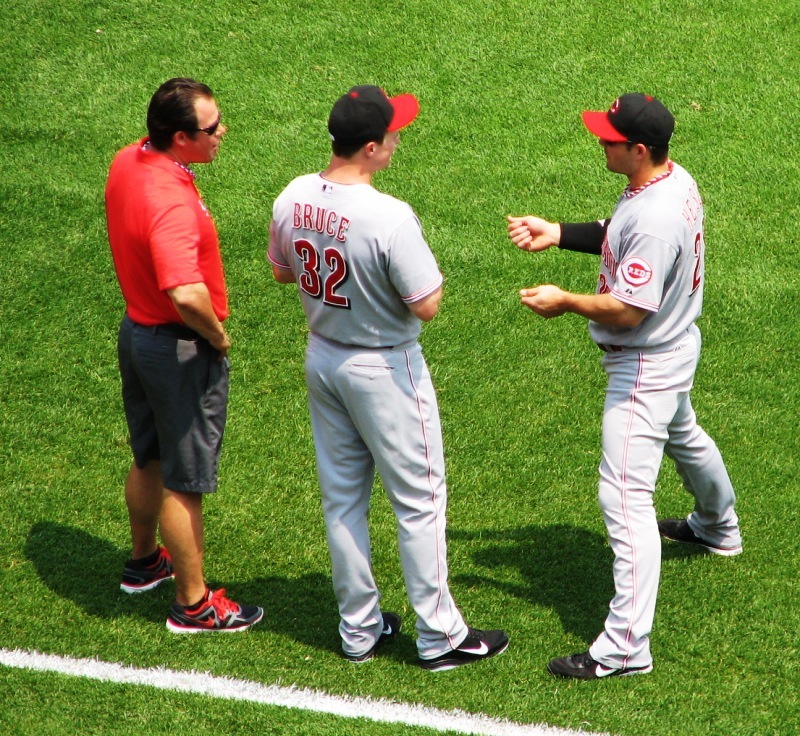 Speaking of Votto, he got a day off yesterday (except for that one pinch-hit) and his absence was definitely felt on the field. May the light day yesterday and the off day today prepare him for another two months’ worth of straight starts. The Reds lost the game and the series to the Pirates last night, 2-1. Apparently Johnny Cueto should have known better than to allow 2 whole runs. The Reds are off today and traveling to Houston. 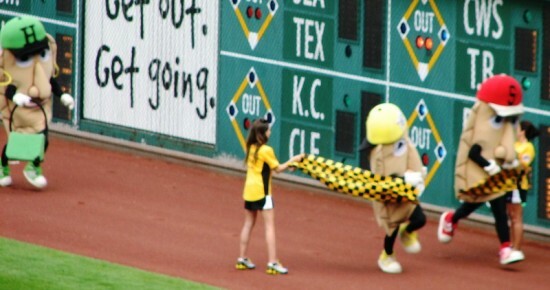 Tomorrow they’ll take on the 22-28 Astros. 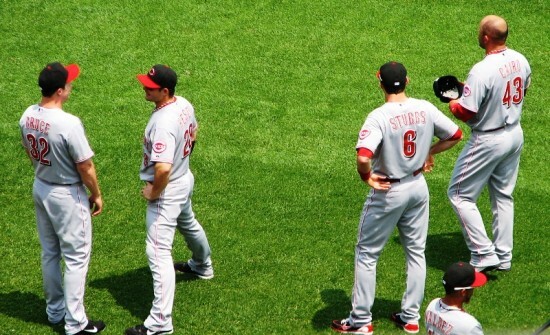 The Reds’ series record for the month of May was 5-2-2. 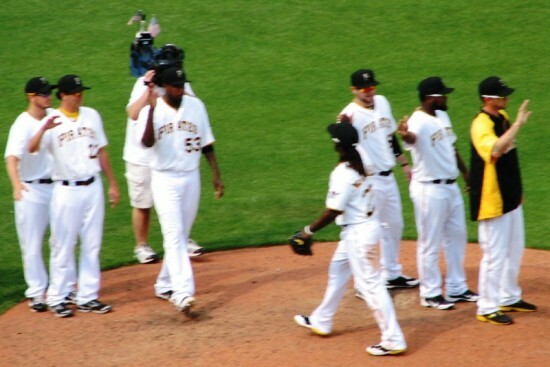 They won series against the Pirates, Brewers, Braves (twice), Yankees, and Rockies. They lost series against the Nationals and Pirates. The splits were against the Cubs and Mets. 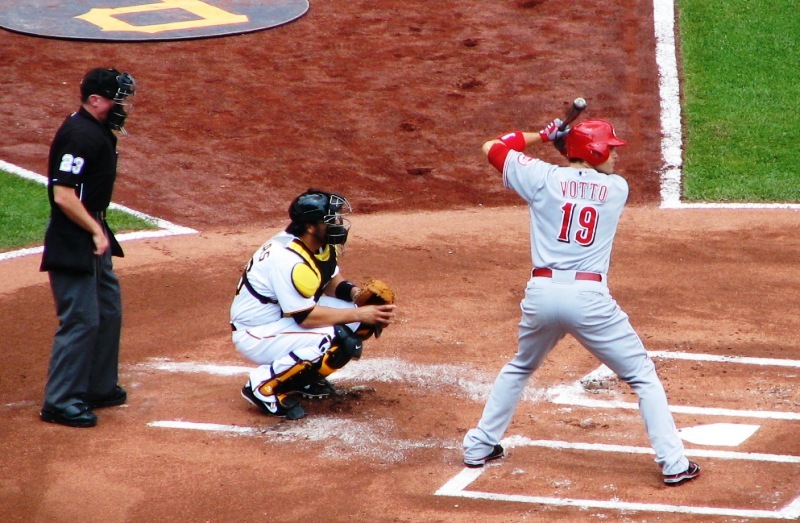 Joey Votto is hitting .405 in Minute Maid Park, and has an 18-game hitting streak going there. Here are several pictures from the game the RHM clan attended on Memorial Day in Pittsburgh at PNC Park. 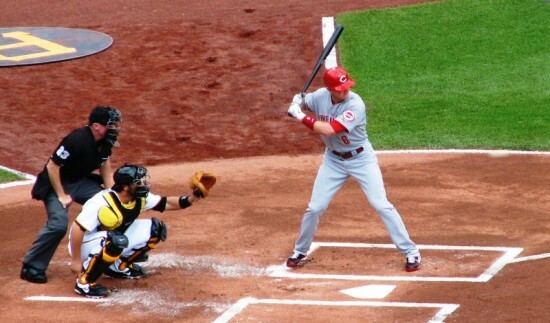 The Cincinnati Reds started their series against the Pittsburgh Pirates and lost 4-1 thanks to a bad outing from Bronson Arroyo and a no-show by the offense. Looking forward to seeing this guy tomorrow. I miss him from his Indianapolis Indians days. Posted in Cincinnati Reds, Game Wrap, NL Central, Pittsburgh Pirates.